Caps are great for shielding you from the glare of the sun, the cool of the night, the wind and the rain. They’re also handy for catching frogs, swatting mosquitoes and hiding the last energy bar from hungry fellow trippers. But let’s not get too “Lord of the Flies” here. Always use your cap with care and discretion. 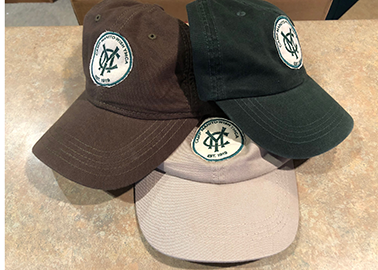 Classic CMY logo create’s a collectible cap. Durable tough cotton canvas that is soft to the touch and easy on the eyes. Visor for all those sunny days on the lake. Put it on and get paddling!